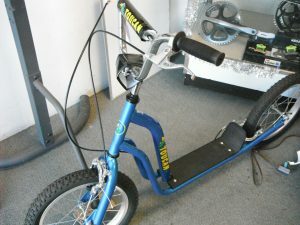 Looking for a trainer / stationary bike to ride while it is wet out? Mount your bike on the Neo Smart for life like indoor riding and training. 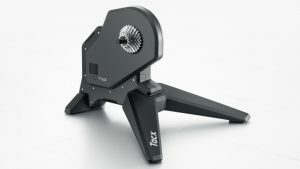 Tacx Flux Smart the best price interactive direct drive trainer. As the Bushido is wireless and can be linked to your smartphone or tablet, you can use this trainer for workouts wherever you are. Are you going on a training camp or is there no power point handy at your training location? 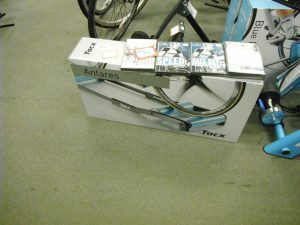 In that case, choose the Tacx Bushido. 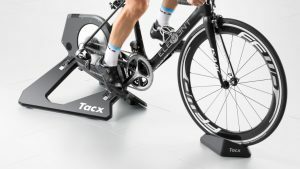 Tacx Bluematic smart – a basic trainer that you can use for Zwift etc. 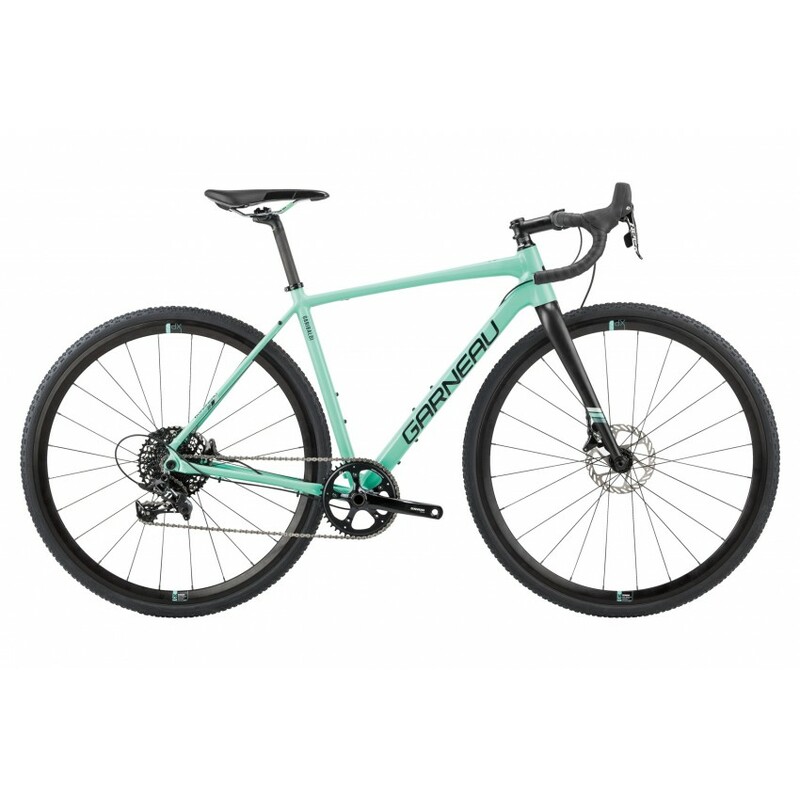 Need a cyclocross / gravel / winter / training bike? More than a road bike the bikes that are in the new “Gravel Grinder” category can function very well at multiple tasks. 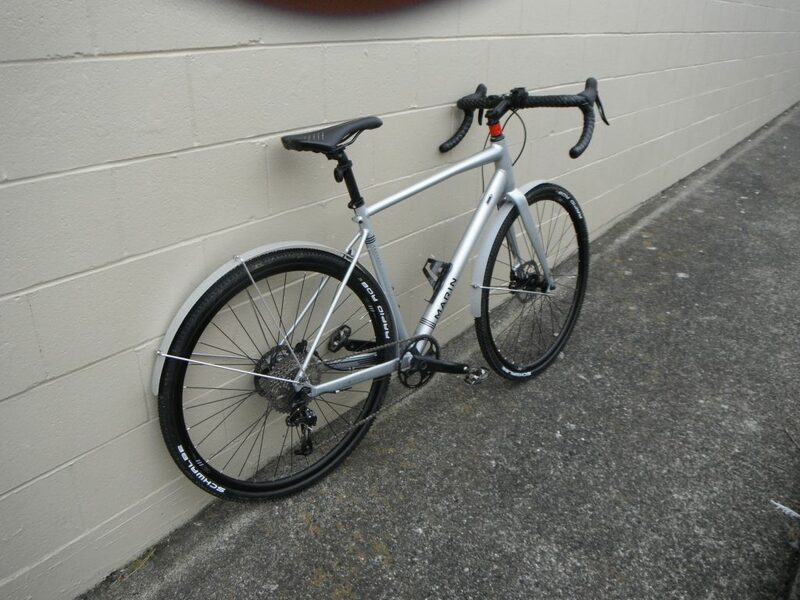 These sport utility road bikes make excellent all purpose bikes. 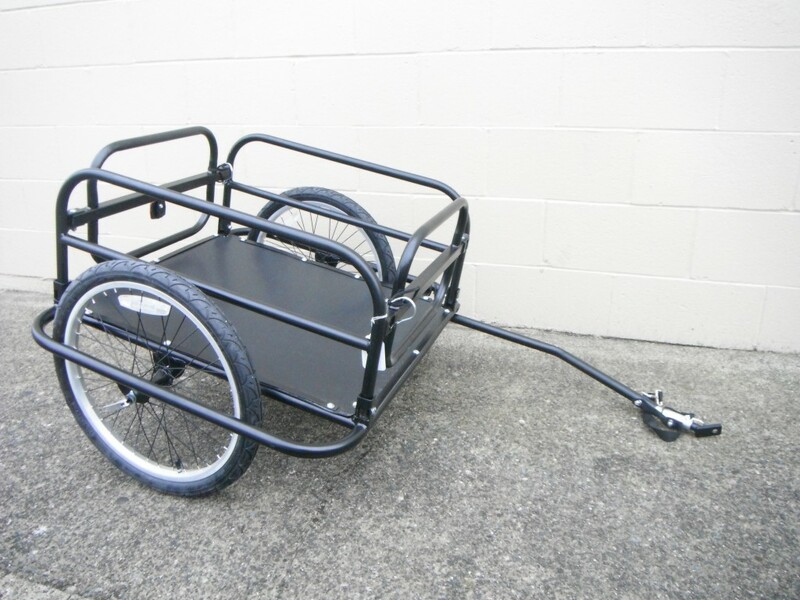 Ride these bikes to the end of the road and beyond. Compared to a road bike these bikes have larger tires, greater chainstay and fork clearance, a more stable and comfortable geometry, wider gear ranges. New Naild 12.3.9 quick release thru-axle, paired with the new NavIt fork provide the fastest QR action, with all the stiffness and tracking performance thru-axles are famous for. Larger tires give the bike more traction, a better ride on uneven surfaces, more stability overall. 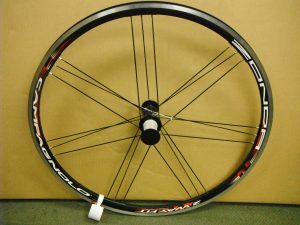 Tire width can range from 30mm to 48mm for the gravel grinder bikes. Bigger clearances at the chainstays and fork allow the bikes to be fitted with full fenders. 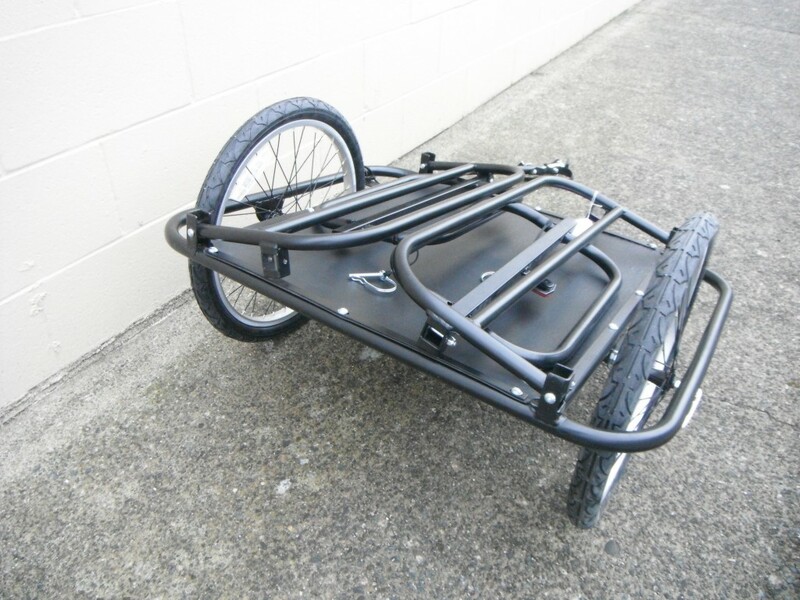 Perfect for commuting or winter road riding/training. 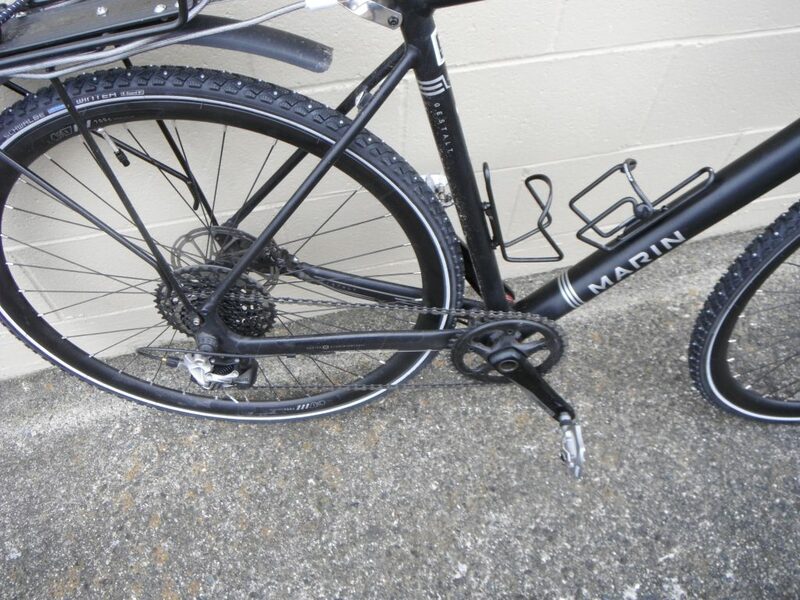 If the roads are icy you can fit studded tires for greater traction. 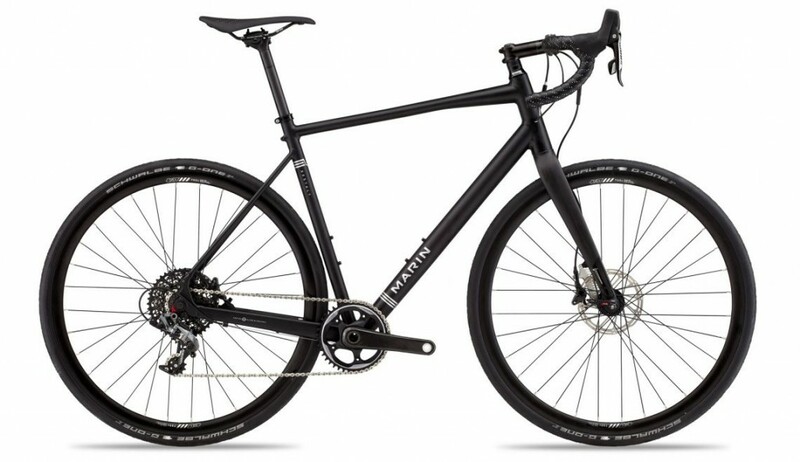 In addition to wider tires, gravel bikes have geometry that favors stability and comfort. 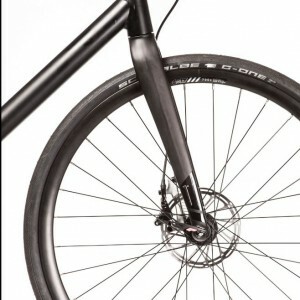 The wheelbase of a gravel bike is longer than most road bikes, thanks to longer chainstays and slacker head tube angles. Head tubes are generally taller as well, placing the rider in a more relaxed, upright position. Bottom brackets are often lower, which gives the rider the sensation of riding in, rather than on the bicycle. 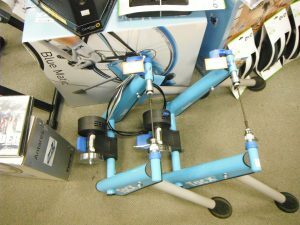 Gearing is another area where these bikes diverge from the pack. 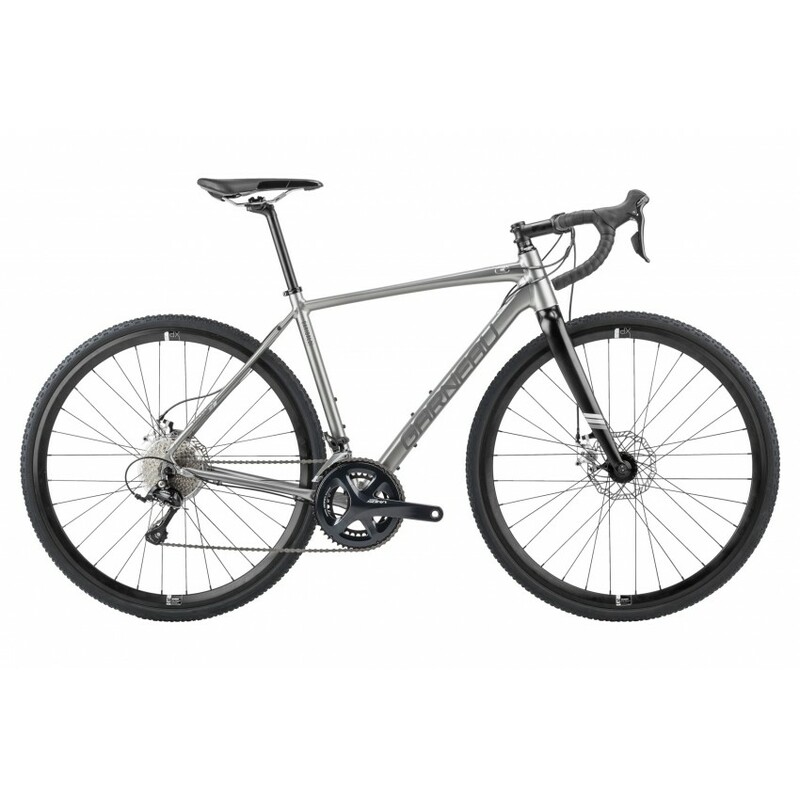 Given the terrain, many gravel bikes feature compact or smaller gearing and wide-range cassettes. Cranksets with 50/34 or 48/32t are common. 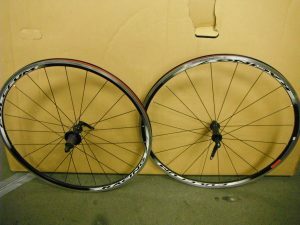 Likewise, many gravel bikes come with 1x gearing with ultra-wide 10-42t cassette. 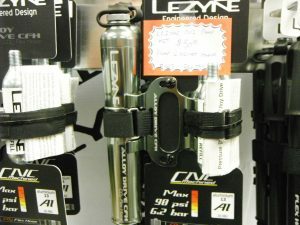 Lots of in store specials going on at Island Cycle right now. 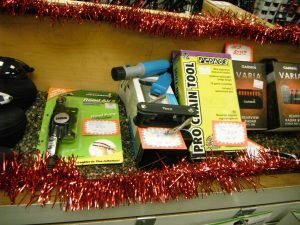 Mini pumps, co2 pumps, and tools make great long lasting gifts that every cyclist can use. 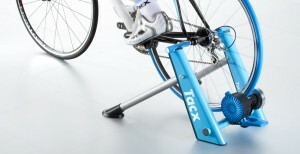 Indoor trainers, rollers and all the accessories to go with the trainers. 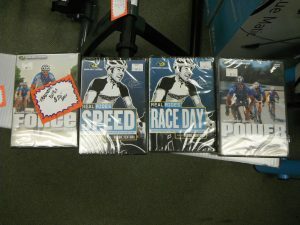 DVDs, wheel blocks, sweat catchers, quiet training tires. 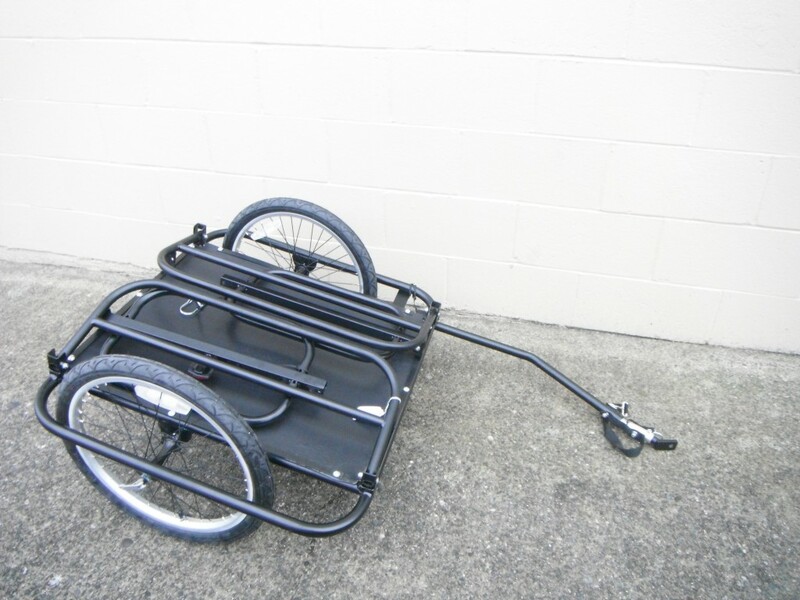 Bike storage. 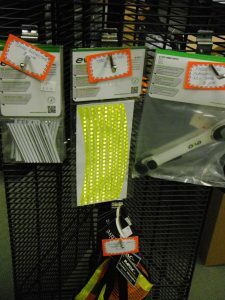 Reflective products to help you be seen at night. 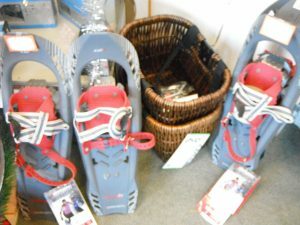 Winter items like studded snow tires or snow shoes. 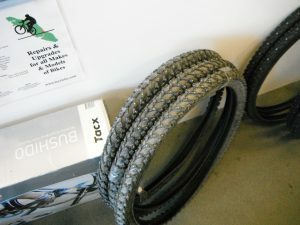 Studded snow tires for your bike. 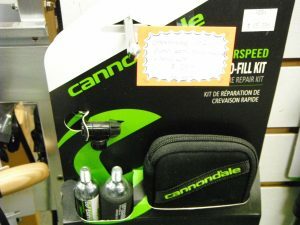 Good wheels deals too! More in store! Come on in! The Garmin Edge 25, Edge 810, Edge 810 Bundle, and the Varia are on sale at Island Cycle April 7 to 16. 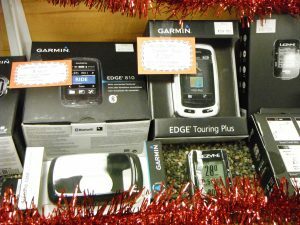 The new Garmin Edge 25 is sale priced at $209.99 and is packed with big feature in a small computer. Go the extra mile. Edge 25 captures essential stats from your ride, including time, distance, speed, total ascent and location. When paired with a heart rate strap, it also records your heart rate and heart rate zone so you’ll know when you hit your target. Heart rate compatibility also provides more accurate information on calories burned during your ride. 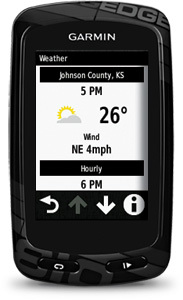 Garmin Edge 25 bike computer. 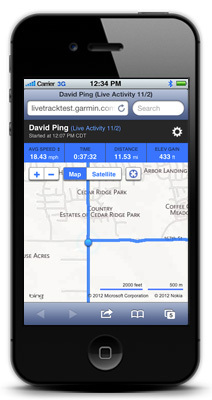 through your smartphone include live tracking, social media sharing and weather. The 810 is compatible with optional detailed street or TOPO maps, so it can guide you during touring, commuting or other activities requiring onboard maps and navigation. Because it’s GPS-enabled, Edge 810 provides accurate data and navigation capabilities, anywhere in the world. In addition to mapping, Edge 810 records distance, speed metrics, ascent/descent, grade and more. It’s also compatible with ANT+® sensors that measure heart rate, speed/cadence and power. Activity profiles let you customize data fields and device settings based on cycling activity, such as road, mountain or touring. Switch profiles with a simple swipe of the touchscreen and the 810 will be set up to show the data for that ride. When paired with a dual-sensing Vector™ power meter, Edge 810 now displays our revolutionary Cycling Dynamics metrics and are included in Garmin Connect™ for post ride analysis. 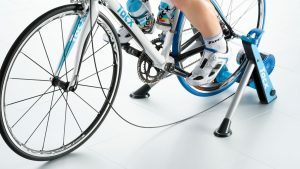 These metrics measure where the power is being applied throughout the pedal stroke, and where on the pedal it is being applied, allowing the cyclist to understand his or her particular way of riding. The Seated/Standing metric will follow in early 2015. Instantly store, share and analyze every detail of your ride. Using Garmin Connect Mobile, you can wirelessly upload completed activities from your device as soon as you are finished. Activities can be automatically or manually uploaded. Once your ride has posted to Garmin Connect, your own “connections” can view them. 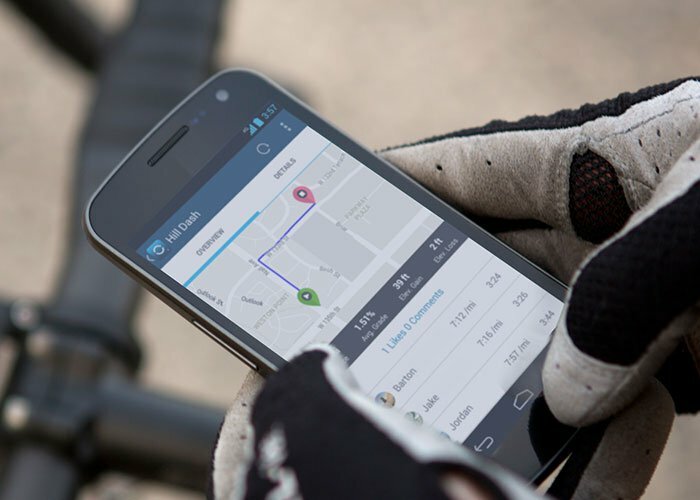 You can also search your courses and workouts4 stored at Garmin Connect, download to your smartphone, then send directly to your Edge 810 — wirelessly. You can then navigate to the start of the course and use the Virtual Partner® feature on your Edge to race your previous activities in real time. Like the Edge 1000, the Edge 810 now integrates with Shimano Di2 shifting systems5 to display your current gear on the screen. We’ve also expanded the integration capabilities for those Edge users with compatible Shimano Dura Ace Di2 systems by allowing them to directly control their Edge from the small buttons inside the brake hoods. Similar to the Edge 1000, the Edge 810 now include segments. Cyclists can turn every ride into a race by competing on Garmin Connect segments and seeing real-time results, including alerts for segment start/finish and leaderboard rankings. 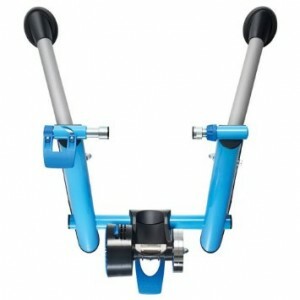 A magnetic brake regulates the resistance using several adjustable positions. 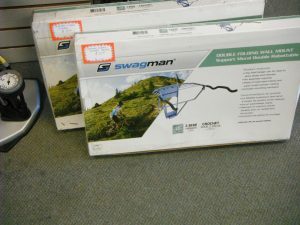 This allows you to simulate a climb.